The current article contains the details of valuation analysis of a company & its stock. The article also contains answers to some of the important queries related to valuation analysis & different ratios asked by investors. Valuation analysis is conducted to decide whether the stock of a company is current selling at attractive (cheap/undervalued), fair (rightly priced) or expensive (overvalued) valuations. Valuation analysis is second level of filter post financial analysis, used to select stocks for further analysis. Only the stocks that satisfy the criteria of good financial performance and attractive valuations should be analysed further. Once an investor has found a financially strong company by using the parameters highlighted in Part 6, she should do the valuation analysis to check whether the stock of the company is priced right. If the shares of a company are overvalued then the investor should avoid investing in it, however good the company’s financial position may be. Investing hard-earned money in overvalued stocks exposes the investor to higher levels of risk where the potential of future appreciation is limited but the risk of losing of money is high. Therefore, valuation analysis becomes paramount before taking a decision to buy any stock. Valuation analysis compares the stock market values of the stock of a company with its financial parameters. 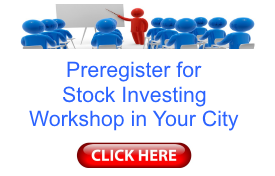 Stock market values consist of current market price (CMP), market capitalization (MCap) etc. Various financial parameters, which are used in valuation analysis, are earning per share (EPS), sales, sales growth rate, earnings (EPS) growth rate, book value, shareholder’s equity, dividend payout etc. P/E ratio is the most widely used parameter to analyse whether the stock of any company is overvalued or undervalued at any point of time. It is calculated by dividing the current market price (CMP) of a stock by profit/earnings per share (EPS). It represents the price an investor pays to buy INR 1 of earnings of a company. If P/E is 10, it means that to get INR 1 of earnings in one year from a company, the investor is paying INR 10. Similarly, if P/E is 20, it means that to get INR 1 of earnings in one year from the company, the investor is paying INR 20. If we compare P/E ratio of 10 and 20, in the above example, it would become evident that at P/E of 20, the investor is paying more money to get the same value of INR 1 in earnings than when P/E is 10. Comparing P/E ratio of the stock with the industry in which the company operates: Industry P/E ratio is the average of P/E ratios of all the companies of the specific industry listed on the stock exchange. If P/E ratio of the stock is higher than the industry P/E ratio, it is assumed to be overvalued and vice versa. Comparing current P/E ratio with historical P/E ratio of the stock: if P/E ratio is lower than average P/E ratio of last 10 years, then stock is deemed undervalued and vice versa. Comparing P/E ratio in form of Earnings Yield (EY) with yield on other asset classes like government securities (GSec), Treasury Bills etc. as described below. PEG ratio compares the P/E ratio with the growth rate of earnings (EPS) of the company. The underlying assumption is that a stock can command a P/E ratio, which is comparable to the growth rate of the earnings of the company i.e. a company that is growing its earnings at 25% yearly should have a P/E ratio should be about 25. PEG ratio is measured by dividing P/E ratio with the earnings growth rate (PEG ratio). If P/E ratio is less than the growth rate of the earnings of the company i.e. if PEG ratio is less than 1, the stock is assumed to be undervalued and vice versa. EY takes into account the absolute value of P/E ratio. It is measured as inverse of P/E ratio i.e. E/P. It is calculated by dividing the EPS with CMP. EY provides an idea about the earning/returns that a stock would produce for every INR invested by the buyer in it. If P/E is 20, then EY would be 1/20 = 5%. Many investors compare EY with Government Securities (GSec) yield in India or Treasury yield in USA. If EY is more than GSec/Treasury yield, then the stock is assumed undervalued and at an attractive investment as investors would find stocks more rewarding than bonds and shift money from bonds/fixed income investments to stocks. 10-year GSec yield in India is currently about 8%. As per above parameter, a stock should have EY of at least equal to 8% (i.e. P/E ratio of 1/8 or 12.5) to be considered a better investment over bonds/GSec. The concept of MoS by Benjamin Graham is based on EY. Graham says that the higher the difference between EY and GSec/Treasury Yield, the safer is the stock investment. To illustrate, suppose the investor buys a stock of company ABC Ltd at INR 100. If EPS of ABC Ltd is INR 10 then P/E ratio would be 10 and the EY would be 1/10 or 10%. As current GSec yield is 8%, ABC Ltd is a good investment. Suppose, after the investor buys ABC stock, its price falls and become INR 50, then the P/E ratio would become 5 and the EY would become 1/5 i.e. 20%. EY of 20% would attract more and more investors to shift money from bonds markets and use it to buy ABC stock as it yields 20% against GSec yield of 8%. This new demand for ABC stock will increase its stock price and limit the downfall. Herein, Graham says that higher the difference between EY and GSec/Treasury yield, higher is the Margin of Safety. P/B ratio is calculated by dividing the CMP of a stock with the book value (shareholder’s equity + retained earnings) per share. It represents the price an investor pays for INR 1 of the net assets of the company after settling all its outsider’s liabilities. P/B ratio of 1 means that the investor is paying exactly the money that the assets are in company’s records. P/B ratio of 2 means that one is paying double the amount that the assets are in company’s records. Higher book values mean costlier valuations of the company. Stocks with P/B ratio of less than 1 are considered undervalued and vice versa. I find P/B ratio irrelevant due to usage of historical cost of company’s assets while calculating the book value. The historical cost might not represent the current market value of company’s assets. However, P/B ratio is very important for companies in financial sector where most of the assets are cash assets and book value is good indicator of net worth of the company. 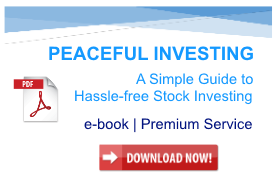 Benjamin Graham said that an investor should look for companies where P/E * P/B is < 22.5. However, I focus mainly on companies with P/E <10 while ignoring P/B ratio. P/S ratio was used by James O’Shaughnessy. It is calculated by dividing CMP of a stock with sales per share of the company. It effectively compares the MCap of the company with its annual sales. If P/S ratio of a stock is <1.5, then the stock is considered undervalued. O’Shaughnessy advised investors to sell the stock once its P/S ratio exceeds 3. DY is a measurement of dividend paid by a stock compared to its market price (DY = dividend paid/CMP). If a company with CMP of INR 100 pays a dividend of INR 2 per share in a year, then its DY is 2%. An investor can relate DY to rental yield of a residential property or yield on bonds/GSec/Treasury. If annual rental income is INR 2 lac (0.2 million) from a flat, which has a value of INR 1 crore (10 million), then the rental yield of that flat is 2%. High yields, whether dividend or rental, mean that share/flat prices are cheaper and low yields mean that share/flat prices are costlier. Stocks with DY of >5% are considered very attractive. However, companies that are growing very fast need to invest most of the profits for expansion plans. Such companies prefer to declare very small dividends. I do not focus on the DY, if the company puts the retained profits to good use. We can find out whether the company is utilizing retained earnings to generate value for shareholders, by comparing the amount of retained earnings with the increase in market capitalization of the company over last 10 years. As per Warren Buffett, a company should generate at least $ 1 in market value for each $ 1 of profits retained. This comparison is an important parameter for assessing the management capability to generate value for shareholders. I would discuss more about it in future article on management analysis of a company. Enterprise value (EV) of a company is calculated as Equity + Total Debt – Cash & Equivalents. It is a measure of all the funds employed by a company in its operating assets irrespective of their source i.e. whether own or borrowed funds. We deduct cash & equivalents as they represent the excess assets, which are not deployed in the operations of the company yet. Cash investments provide interest/investment income, which is non-operating income for the company. An individual investor should use market capitalization (MCap) of the company in place of Equity in above formula to arrive at current EV of the company. EBITDA stands for earnings before interest, tax, depreciation and amortization. EBITDA is a measure of the amount of profits that are pertaining to all stakeholders in the company including shareholders, bondholders or lenders. EV/EBITDA is a measure of analyzing the valuation level of companies that does not factor in the capital structure (debt to equity ratio) of the company. Interpretation of EV/EBITDA is similar to P/E ratio. What P/E ratio is for equity holders of a company, EV/EBITDA is for all stakeholders (shareholders, bondholders & lenders put together) of the company. Low EV/EBITDA ratio represents undervalued company and vice versa. EV/EBITDA is mainly used by investors when they plan to buy entire companies rather than investing in small number of stocks. However, it still has its relevance for equity investors. In the current article, we learnt about various parameters used for doing valuation analysis of the stock of a company in details. The parameters discussed above are simple ones and should suffice for the basic due diligence by any individual investor. There are many more ratios like Price to Cash EPS ratio, Cash to Mcap ratio etc, which can be used to gain further insights into the valuation levels of the stock of a company. However, I believe that if an investor analyses any stock on some of the parameters discussed above before she commits to buy it, she would be able to avoid putting her hard-earned money in overvalued stocks where the potential of future appreciation is rather limited and the risk of loss of money is high. Price to Earnings ratio (P/E ratio): I prefer investing in financially sound companies with P/E ratio of <10. They provide good margin of safety. P/E to Growth ratio (PEG ratio): should be <1. Earnings Yield (EY): should be greater than long term government bond yields or bank fixed deposit interest rates. Price to Book value ratio (P/B ratio): should be <1. However, I find it irrelevant for sectors other than financial services. Price to Sales ratio (P/S ratio): buy if P/S ratio is < 1.5 and sell if >3. Dividend Yield (DY): Higher the better. DY of >5% is very attractive. However, I do not focus a lot on DY for companies in fast growth phase. EV/EBITDA: It is a valuation parameter for entire stakeholders and removes the impact of sources of funds (i.e. capital structure or debt to equity ratio). Let us now address some of the important queries related to valuation analysis asked by investors. Investors’ Queries: How to do Valuation Analysis of Stocks? What is the right price to pay for a good stock? I completely agree with your analysis of Atul Auto Limited and Amit Gupta who carried out a deep dive and sound research. Atul Auto Limited is a great company. I had this company on my radar for quite a few months. We all face this challenge: MRF Limited is a great company, Alkyl Amines Chemicals Limited is awesome, Supreme Industries Limited is fabulous but what is the right price to venture into a stock. Even if we keep accumulating on dips, how do we left the price? So my question is: we are on the same page that Atul Auto Limited is a great company, excellent management, strong fundamentals, and good return to investors but is it worth to buy the stock at this price or wait for a correction. Since we are long-term investors, we are not looking at buy today & sell tomorrow or same day trading. Thanks for writing to me! Without doubt Amit has done a very good job in his analysis of Atul Auto Limited from different perspectives. As far as buying price of Atul Auto Limited or any other stock is concerned, every investor has a different take on it. I would be happy to elaborate on my purchase price criterion. Many readers have commented that I might be missing out on a lot of potential growth opportunities by the strict P/E criterion. Many other investors (like Prof. Sanjay Bakshi) have recommended to pay for growth upfront in terms of higher P/E. However, as I mentioned previously, every investor has her own criteria for deciding the purchase price. Hope it clarifies my criteria for deciding the buying price level of Atul Auto or any other such stock. I suggest the investors to keep waiting until she finds the fundamentally sound stock trading at attractive valuations. She should not become impatient and buy stocks without margin of safety. It would be good if you could share your criterion for deciding the buying price of any stock with the author and the readers of this website. It would be helpful for everyone. All the best for investing journey! 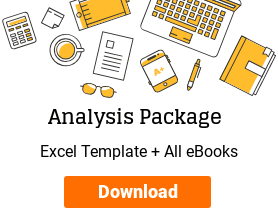 Which EPS to use in PE ratio and PEG ratio calculations? Do benchmarks of PE ratio cited by Benjamin Graham apply in India? Regarding PE Ratio: Screener uses the last reported EPS for calculating PE Ratio. But other websites uses TTM (trailing twelve months) earnings. Which PE Ratio must we consider during valuation? PEG Ratio: Can you please give me details about how you have calculated PEG ratio, because most websites take EPS growth estimate. How are you calculating it? You have given reference to PE Ratio of <10 mentioned by Benjamin Graham in his book “The Intelligent Investor”. I am reading this book and Graham has mentioned PE ratios between 20 and 25. What does he mean by these in his book? Congratulations that you have started reading Benjamin Graham! You have started on the right track. All the best! 1) PE ratio: Each of the websites and similarly, each of the investors has her own preferences. I use TTM (trailing twelve months) earnings but with a pinch of salt if there is a sudden jump in recent earnings. Warren Buffett takes average earnings of past few years. 2) PEG ratio: Whenever, I use PEG ratio, I use growth rate of EPS achieved in the past. Reading the above article would help an investor in understanding that during low interest rate scenarios, the P/E ratio that provide a margin of safety, moves up. Just curious, do you even use the DCF method by taking a base case scenario for growth rate. After all valuation is more about the free cash flow generated than the earnings. Additionally do you calculate the trailing PE for PEG ratio as it will be a much precise measure for valuation? I do not use DCF for valuation. I believe that every investor has her own way of arriving at value. 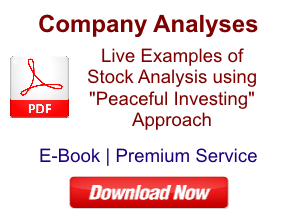 As rightly mentioned by you, many investor use DCF to assign a fair value to any stock. However, I do not assign any such value to stocks, which I plan to invest. I try to gauze whether the particular company has the potential to grow in future and if yes, then is it currently available at a price which can give a margin of safety. If these criteria are met and the management impresses me by way of their past actions & behavior, then I find such company to be a good investment candidate. I do not try to put any particular number to the potential level to any stock and rise or its fair value. I use trailing P/E for calculating PEG ratio. PEG is one of the criteria that is used by many investors to judge the valuation level. I do not put very high focus on it as I give absolute P/E a lot more weightage in my assessment. If PEG is <1 for a company growing at 25% CAGR and available at trailing (TTM) P/E of 20, then I might not be interested in investing in it as P/E of 20 is not giving me any margin of safety. I would love to invest in a company with 25% CAGR but only if it is available at P/E of <10 which gives a margin of safety. Sir, I am currently in learning phase and this is my first stock valuation. Your blog has been extremely helpful to me. Please point out any mistake, if I make, during the process. 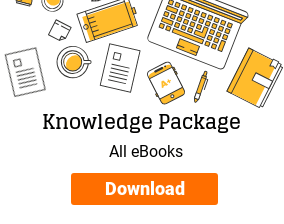 The theory which has most convinced me about stock valuation is that Stock price, or market cap, is a sum of present values of all future cash flows and current book value. Considering Atul Auto Limited TTM EPS of ₹18 and assuming a cautious EPS growth of 15% for next 10 years (in last ten years EPS CAGR@ 26% and in last 5 years @ 49%), terminal growth 3% for 15 years (assumed as long term inflation) and book value of ₹60, the current fair price works out to be ₹606. What is your view on above valuation? I do not use the discounted cash flow (DCF) model for valuation (which you have mentioned as present value of all future cash flows). Future is always uncertain. Moreover, the present value in case of DCF would change by a huge margin by small changes in the assumptions. Therefore, I do not have any view on the value arrived using this method. At the outset I appreciate your article on valuation analysis. The difficulty is we will not get quality businesses at cheap valuations in a normal market. Absolute value of PE does not reveal much and hence keeping a limit for PE like 10 may not be appropriate. For ex: HDFC Bank always commands PE of 20 to 30 since it has always grown at 30%. Its NPA level, management quality, risk control measures, NIM, RoA etc. ensure that it gets higher PE in the market. It is impossible to get such quality businesses at PE below 10. PEG theory is a very simplified approach though it correlates to growth in earnings and is better than PE alone. However, PEG=1 for fair valuation is also difficult to apply since high quality companies always get premium valuation and quote at PEG of 1.5, 2 or 3. For ex: Great businesses like HUL, Nestle, and Asian Paints etc. always command high PEG. Earnings yield considering future growth is a better approach. Earnings yield presently may be below 8% but if it achieves it in next 2 to 3 years, then the valuation can be considered attractive. However, if a company requires 5 years or more to achieve an earnings yield of 8%, we can say that stock is overvalued. Intrinsic value suggested by Warren Buffett, John Burr Williams is good but applies only to secular growth companies where future earnings can be predicted for 10 years or so. However, here the difficulty is in assuming second phase growth rate (normally taken as 5%). These are my views. Would like to know your views also on above thoughts. You are right that good business may not be available at a P/E<10. An investor is free to invest in businesses with high P/E if she is comfortable. However, I believe in investing fundamentally sound companies which are yet to be recognized by the markets, which I believe are present in the segment targeted in the above article. I agree that such opportunities are not aplenty, however, I believe that an investor does not need to find dozens of good companies. My experience in markets says that finding one company in a year is enough. Part of the response to this comment is already included in the response above. 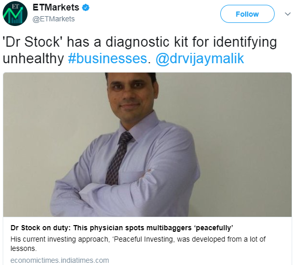 I believe that if an investor follows my checklist of sales growth >15% and P/E <10 religiously for screening stocks, then PEG ratio becomes irrelevant as all the selected stocks would have PEG <1. 3&4: I do not rely on future projections. I believe in associating myself with a sound management running a fundamentally good company and riding the investing journey with them. I try not to project earnings 5-10 year down the road. Therefore, I do not use any parameter for analysis based on future values. However, again like I said above, it is personal choice of investors to use any parameter she is comfortable. Therefore, if an investor believes that she can predict with reasonable certainty, the future, then she can always use future values for analysis. After all, it’s her own money and she is free to invest it as per her choice. As is said, many roads lead to Rome. As requested, these are my views. In case, any further clarity is needed, then I would be happy to provide further elaboration. Once again I appreciate the time & effort put in by you for sharing your views. Thanks! In future articles on the series “Top Stocks to Buy”, I would discuss remaining sections of detailed analysis of a company: Business & Industry and Management analysis.